To make the watermelon juice put 1 lb of roughly chopped watermelon (this will be approximately half of a mini watermelon) into a blender or food processor. Blend until pureed. Pour the puree through a sieve, and let sit in the refrigerator to drain. Don't push the pulp through, just let it drain. It will yield about 1 1/2 cups of juice. Add the gin, lime juice and 1/4 cup of the watermelon juice. Add ice and shake. 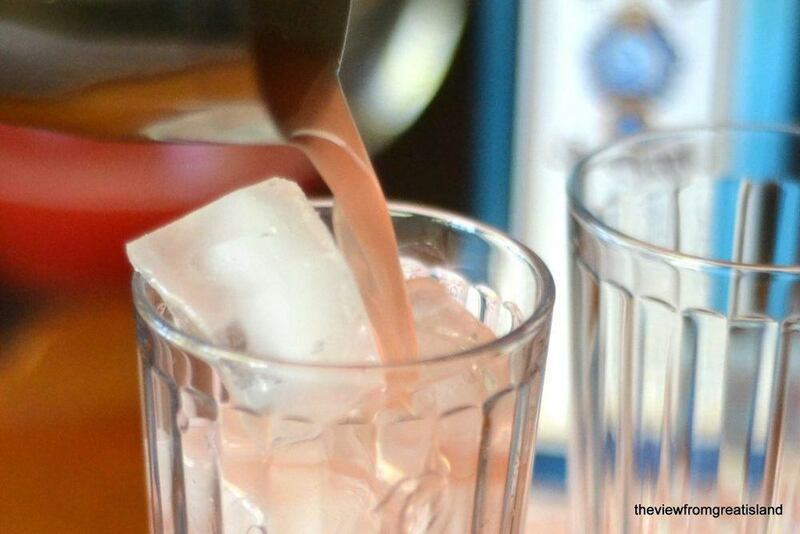 Pour over fresh ice and top up the glass with club soda or sparkling water. Garnish with mint and a watermelon spear.